Employers look for two kinds of skills: soft skills and hard skills. Hard skills show you’re great for a specific job. Nobody is born with them. Three hard skills examples are coding, budgeting, and mixing drinks. Soft skills prove you’d be a great fit anywhere. They’re part of your personality, but you can learn them. Three soft skills examples are interpersonal skills, communication, and leadership. To get hired, you need to show (1) the right mix of (2) the right hard and soft skills in (3) the right way. The difference between hard skills vs soft skills. Lists of both types of skills employers want most. Why to pick slightly different soft and hard skills for each job you apply to. How to show hard vs soft skills on a resume to get hired faster. Hard Skills vs Soft Skills: What’s the Difference? What’s the difference between hard vs soft skills? Employers want both. But which is which, and which ones matter most? Soft skills definition: We define soft skills as abilities not unique to any job. Are you a great communicator? Do you collaborate with others like Steve Rogers? Those are softer skills. But—you can’t just say you’ve got them and expect the phone to jangle. Scroll down to find out how to pick the perfect ones for a resume, and how to prove them so employers drool a little. Hard skills are teachable abilities or skill sets that are easily measurable. We define hard skills as the technical abilities that fit the job. Normally, you can acquire hard skills in the classroom, in an online course, through books and other materials, or on the job. If you’re in retail, that means closing cash drawers or restocking shelves. 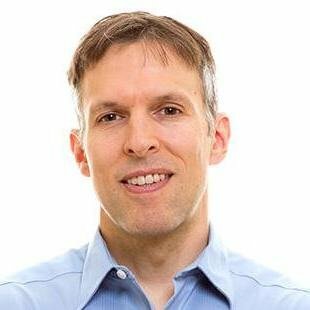 In tech? Your list of hard skills for resumes might have Java coding or network configuration. Hard skills examples for accountants are asset management and account analysis. Hard professional skills for nurses are patient education and phlebotomy. A prime example of hard skills for desk jockeys are computer skills. You’d think hard skills matter most. The truth is that demand for soft skills has been growing since at least 1980. Another study, by LinkedIn, actually suggests that 57% of employers value soft skills more than hard skills. What’s the Difference Between Soft Skills vs Hard Skills? Hard skills are teachable and measurable abilities, such as writing, reading, math or ability to use computer programs. By contrast, soft skills are the traits that make you a good employee, such as etiquette, communication and listening, getting along with other people. That’s like a soft drink can that says, “Tastes Great!” It means nothing. You need to pick the exact resume skills the employer wants, then prove them. I’ll show how in a bit. Prove your soft skills list, and I’ll believe you can learn almost any hard skill. Prove your list of hard skills for resumes, and I’ll know you can already do the job. The trick is knowing which skills I value most, then showing achievements on your resume that prove them. Pro Tip: Do all these skills to list on resumes sound too complex? They’re really not. Let me show you how easy it is to pick the right few next. You could put any of the soft skills below on a resume. But which ones will get you hired? The top ten soft skills in bold are the most important. That’s based on studies by LinkedIn and ICIMS. Don’t pick soft skills for a resume from a generic list. I’ll show what to do instead below this list of skills. Will you get the job if you stuff your resume with all 28 skills in the list above? Or even the top 10 soft skills? But you can pick the few the hiring manager needs and snag the interview. Eureka! You don’t have to ask me for a list of soft skills to put on resumes. The employer just told you what to say. List those qualities and you’re halfway to paycheck land. I’ll show how in a bit. Pro Tip: Don’t just ape the list of skills for resumes in the job ad. If you’ve got a couple extra skills they’ll love, by all means, add ‘em. Which hard professional skills should you show on your resume? There are about 30 soft skills—total. There are thousands of hard skills. I could list the top 10 hard skills, but they’re all in the tech world because software engineers are in high demand. It’s better to find the top 10 hard skills for your career. First, find the skills for resumes that match your field. We’ve got sample resume & guide combos for almost every job. Each guide has a resume hard skills list. Most applicants list too many resume skills. That’s actually a good thing, because it makes it easier for you to beat them. Zero in on the short hard skills list the hiring manager wants. Our software engineer resume guide lists 18 hard skills for resumes. They’re skills like data structures, security, coding, open source, Java, SQL, and Python. If you put all 18 on your resume, you’ll get laughed out of the conference room. The perfect candidate for this job will have experience with Objective-C and Swift, plus strong iOS mobile development knowledge with Cocoa Touch and similar frameworks. Well there’s your list of hard skills for a resume. You don’t write a resume with a massive hard skills list, then machine-gun it out to every job offer you see. You write a resume template, then tailor it to fit each job you apply to. Add just the list of hard skills the employer wants, plus a couple more. Just like with soft skills, don’t just list your resume skills. Prove them. I’ll show how next. Pro Tip: Don’t have the right hard skills for resumes to get the job? Online classes are plentiful and often short. 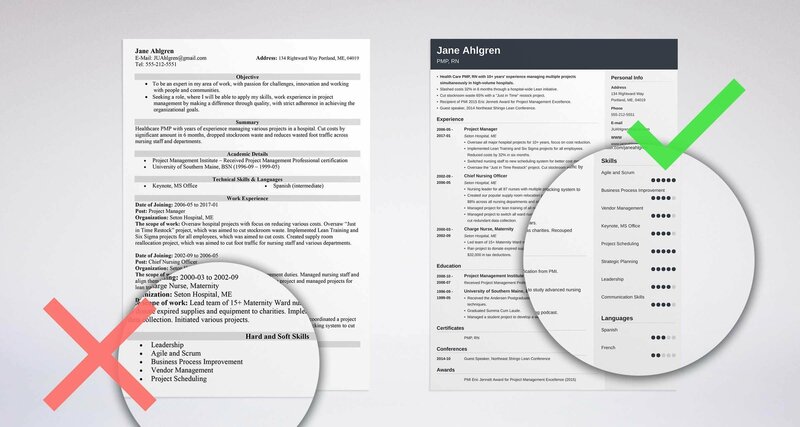 Even a Lynda class can look great on a resume. You saw above how to pick the right list of hard skills vs soft skills. Now learn to prove your skills for resumes so recruiters mob you like Black Friday. Can you really prove resume skills on a sheet of paper? Pretend the job ad says, “We want a graphic designer skilled in (1) communication, (2) teamwork, (3) ecommerce, and (4) online layout. First, add a list of soft skills and hard skills for resumes. (2) Collaborated and (1) communicated daily with a marketing team of 15 people. Gave monthly progress presentations to the team. Facilitated team meetings for a project that increased revenue for (3) ecommerce clients 15%. Contributed to a customer site that (3) won a 2017 Shopify Ecommerce Design Award. (2) Collaborated on 30 projects to create images and (4) layouts for online content. Whap. You just proved your skills for resume use. If the manager doesn’t double-take, his head was poorly designed. Pro Tip: Notice how each bullet point above shows a benefit with numbers? Use percentages, dollar figures, and other metrics to show the power of your resume skills. Don’t look for synonyms to any of the words below. “Wrote 1.5 million words of published articles in 2017” works better than a thousand synonyms for hard working. Again, hunting synonyms for skills for resumes is barking up the wrong decision tree. Pro Tip: Use one personable synonym or teachable synonym at the beginning of your resume summary. Otherwise, give the fancy adjectives a pass. Soft skills are traits that make you a good worker. They’re things like work ethic, organization, communication, collaboration, and leadership. Hard skills are abilities you learn in school or on the job. They’re things like C# programming, marketing campaign management, and financial forecasting. Employers want a mix of hard skills vs soft skills on your resume. Find the ones they value most in the job ad. Don’t just list skills on a resume. Prove them with measurable achievements in your bullet points. Do you still have questions on the difference between hard and soft skills? Not sure how to show soft and hard skills on a resume? Give us a shout in the comments! We’d be happy to reply.